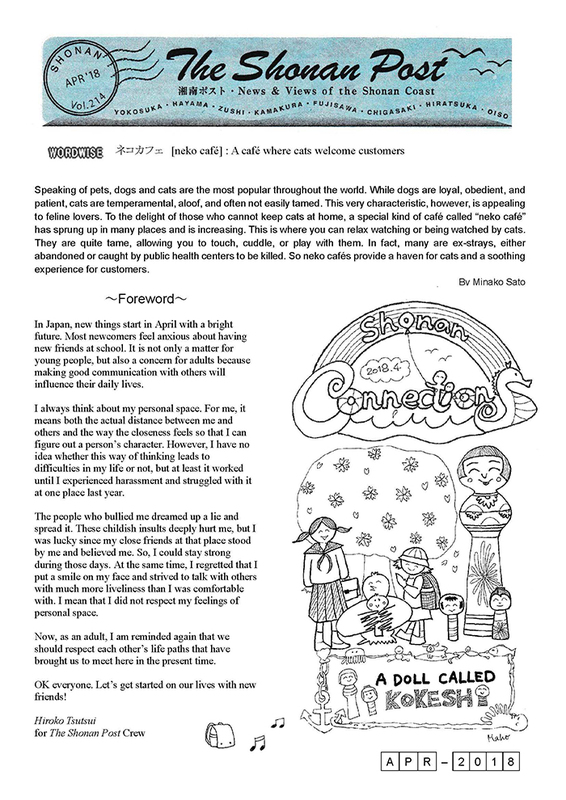 In May, The Shonan Post starts a new editorial year! Please join us for our series on entitled Shonan Connections featuring trends, events, and opportunities in the Shonan area. 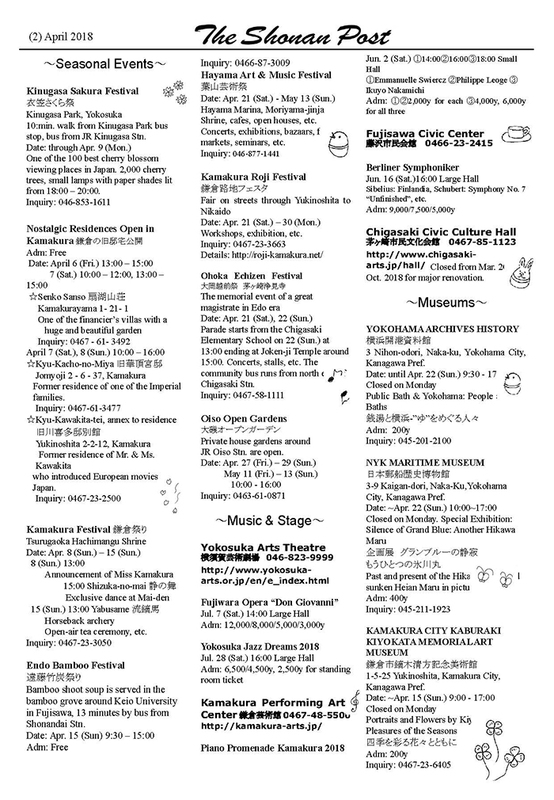 Keep in touch with us at: <shonanpost.contact (at) gmail.com> and check back in the coming months to find out when the annual Kamakura International Festival is scheduled. 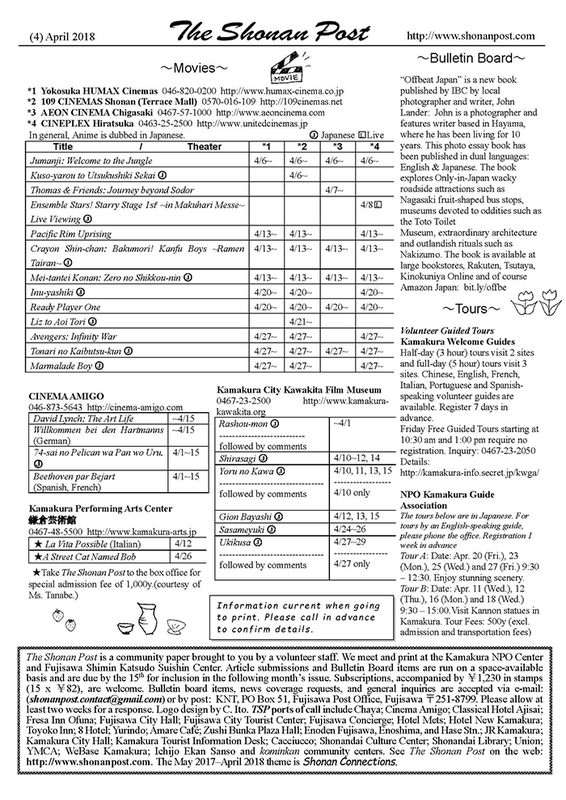 We’ll show the date in the Bulletin Board (page 4) as soon as it is settled. 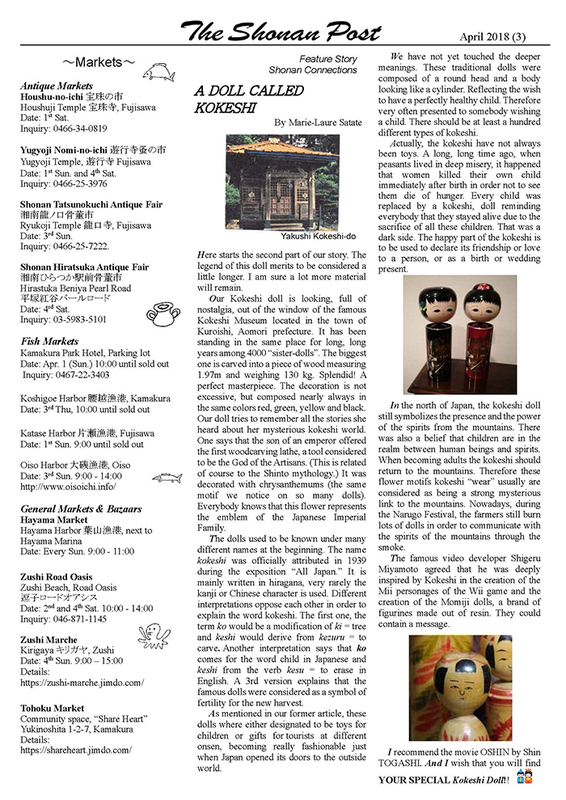 The Shonan Post is a community paper brought to you by a volunteer staff.